Dr. Tameka Ellington and Dr. Stacey Lim, the creators of the (dis)ABLED Beauty exhibition at Kent State, have a message when it comes to their work. 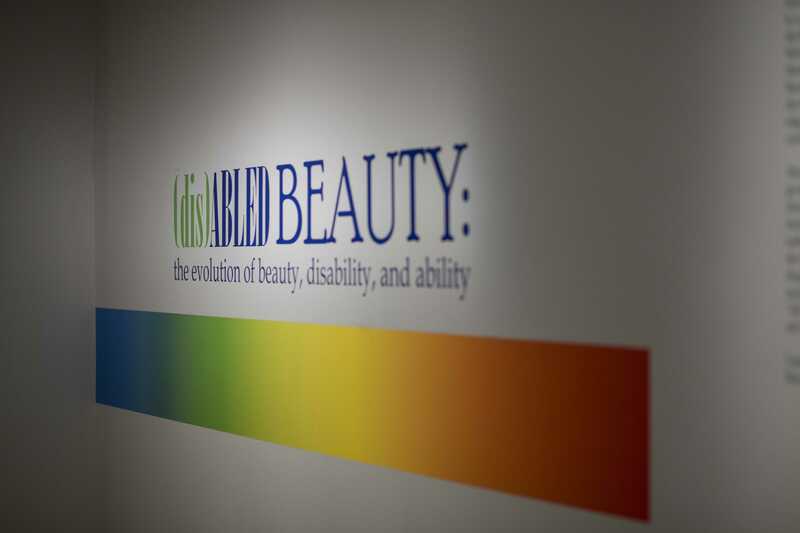 Since their exhibition of (dis)ABLED Beauty opened on July 29, 2016, Dr. Ellington, a fashion design professor at Kent State, and Dr. Lim, an audiology professor at Central Michigan University, have garnered much deserved recognition for their work. “We always knew we wanted to do something together,” said Dr. Ellington, “We wanted to do something that kind of combined our fields together. Dr. Ellington’s background in fashion dates back to her childhood. She got the chance to sew for the first time in middle school, and from that moment, she knew fashion was what she really wanted to do. “I found something I enjoyed that fit with me, and also something that could be a lucrative career.” said Dr. Ellington. For Dr. Lim however, fashion was never really in her plan. When she was 16, Dr. Lim decided that she wanted to become an audiologist. Many would consider this a bit of a challenge seeing as Dr. Lim had been diagnosed with hearing loss when she was a baby. When it came to getting her doctorate, which she earned at Kent State University, Dr. Lim did it due to her love of research and because she wanted to teach. For Dr. Ellington, it was a bit different. After working in the industry for a few years, Dr. Ellington returned to school and received her masters degree at Michigan State. During this time, Dr. Ellington got her first chance to teach, and though she enjoyed it, she went back into the industry. Her husband eventually convinced her to apply to see if she would get in, and she did. Dr. Ellington was accepted to Kent State University, and as she puts it, the rest is history. When it comes to their work, they are very proud, and there is a very special message when it comes to the (dis)ABLED Beauty exhibition. The (dis)ABLED Beauty exhibition will be on display at the Kent State University Museum until March 12, 2017. If you are able to, go down and check it out; you will definitely be in for a treat.